Sen. Bernie Sanders launches Our Revolution on Wednesday at Burlington's North End Studios. Sen. Bernie Sanders (I-Vt.) launched a new political organization Wednesday night devoted to electing progressive candidates "at every level" of government. Speaking to some 200 supporters at Burlington's North End Studios, the former presidential candidate said he hoped that "hundreds of thousands of people" would join the new group, called Our Revolution. It would immediately get to work supporting more than 100 candidates and seven ballot initiatives this election cycle, he said. "These are people who will be fighting at the grassroots level for changes in their local school boards, in their city councils, in their state legislatures and in their representation in Washington," Sanders said. 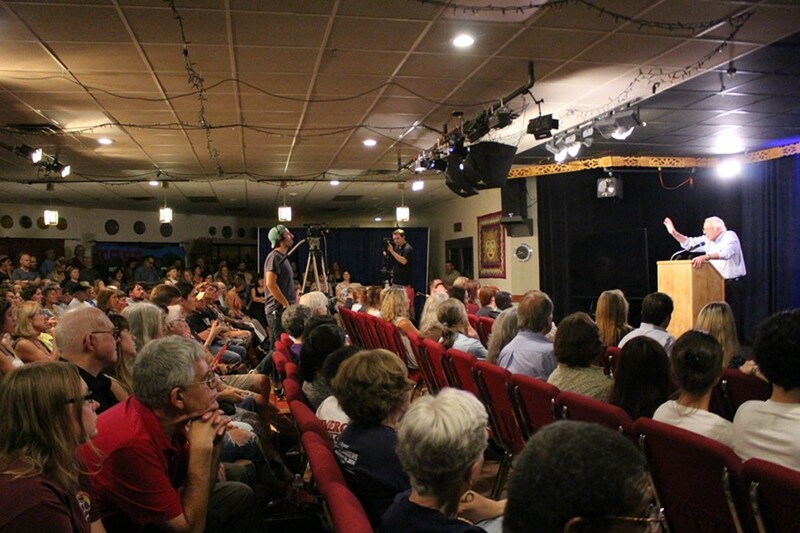 According to Our Revolution executive director Shannon Jackson, Wednesday's launch was webcast to 2,600 house parties and 40,000 viewers across the country. But the event was overshadowed by an unusually public staff revolt within the fledgling organization, as well as questions surrounding its legal status. As Politico and BuzzFeed first reported Tuesday, at least eight employees quit Our Revolution over the weekend after Sanders' former campaign manager, Jeff Weaver, was brought in to serve as the group's president. They complained that Weaver planned to raise money from wealthy donors and spend it on television advertisements, rather than organize a grassroots political movement. "Those of us who resigned left because we felt the organization couldn't make good on Bernie's promise to keep the political revolution going under Jeff's leadership," Claire Sandberg, an organizer who worked for Sanders' presidential campaign and then Our Revolution, told NBC News. "As a campaign manager, Jeff was a total disaster who failed Bernie's supporters with his mismanagement." According to multiple reports, Sanders tapped Weaver to take over the organization after questions arose over its fundraising practices. As a 501(c)(4) nonprofit, Our Revolution is permitted to raise unlimited contributions without disclosing its donors. But as a sitting senator, Sanders is limited in how much money he can raise for such an organization, as ABC News reported last week. Sanders addressed the controversy only obliquely Wednesday, asserting that it would be run without his involvement. 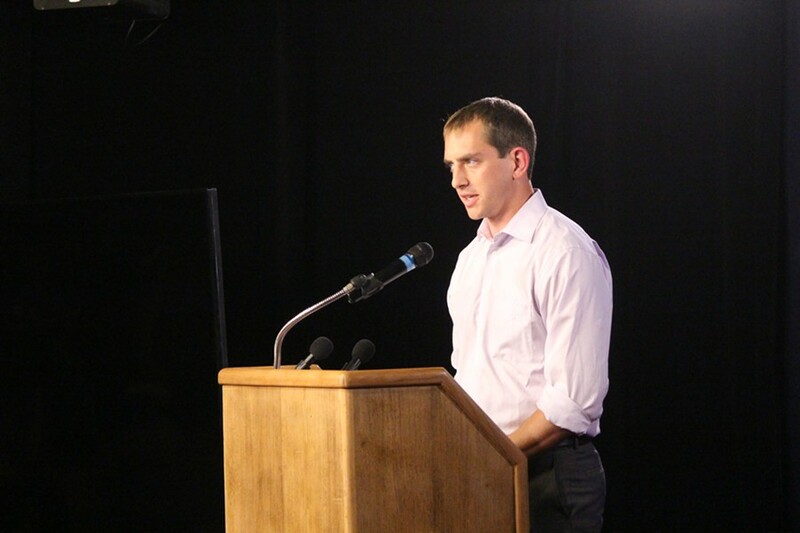 "As a United States senator, I will not be directing or controlling Our Revolution," he told the studio audience. "But I have the utmost confidence that this leadership team and the board being assembled shares the progressive values we all hold. And I expect very big things from them and from all of you who join with them to carry the political revolution forward." Sanders, who has declined interview requests from Seven Days for more than 15 months, refused to take questions after the event, as did his wife, Jane O'Meara Sanders, who has been closely involved with the organization. But Jackson, Sanders' 27-year-old former personal assistant, dismissed the situation as "the nitty-gritty that the press likes to focus on." "I think all organizations have turmoil," Jackson said after the event. "It's starting bumps and we're getting over it and we're looking forward to the future." Weaver, who was not present for the launch, did not respond to multiple requests for comment. Our Revolution executive director Shannon Jackson speaks Wednesday at Burlington's North End Studios. Sanders devoted much of his 50-minute address to rehashing his presidential stump speech and recounting the successes and struggles of his insurgent effort. "Our campaign, as you all know, took on virtually the entire Democratic Party establishment," he said to knowing applause. "And I mean the entire Democratic establishment." The senator hailed as a major accomplishment his delegates' work crafting what he called the "strongest and most progressive" platform in the Democratic Party's history. And he vowed to implement many of its planks. "If anybody thinks that that document and what is in that platform is simply going to be resting on a shelf somewhere accumulating dust, they are very mistaken," he said. "We are going to bring the platform alive and make it the blueprint for moving the Democrats forward in Congress and all across this country." Sanders described his goal for Our Revolution as "the transformation of our country into a society in which we will not continue to have a handful of billionaires controlling our economic, political or media life." But he provided few details about how the group would accomplish such lofty aspirations. The senator did list some of the politicians he said Our Revolution would support, including Nebraska school board candidate Vernon Miller, California state Senate candidate Jane Kim and Vermont state House candidate Mari Cordes. 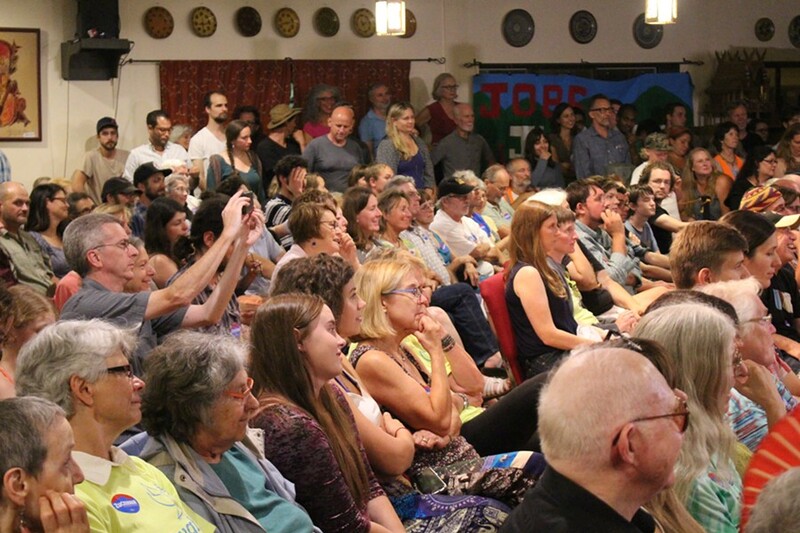 The latter, who appeared in one of Sanders' presidential television ads, joined Ripton environmentalist Bill McKibben in introducing Sanders on Wednesday night. Sanders said the group would also support ballot initiatives that advanced his progressive goals. One would automatically register voters in Alaska. Another would establish a single-payer health care system in Colorado. 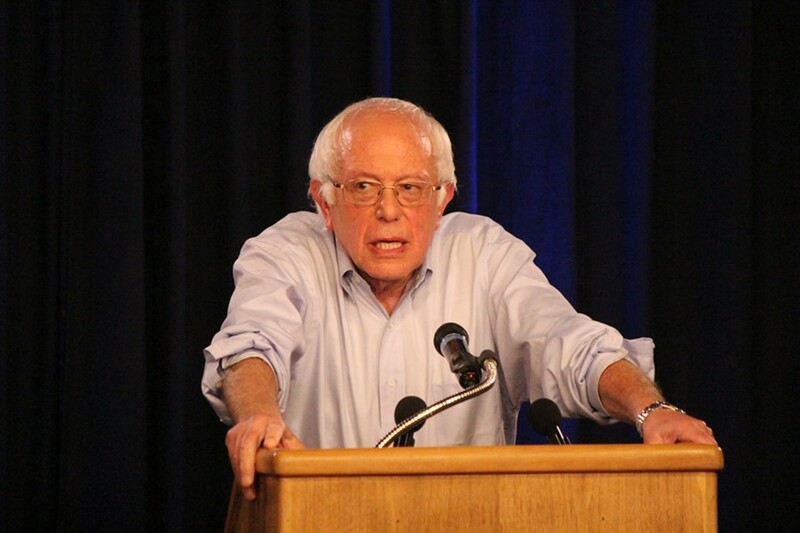 In addition to its electoral work, Sanders said, Our Revolution would play a role in fighting the Trans-Pacific Partnership, a proposed 12-nation trade deal. The senator called President Barack Obama's support of the pact "dead wrong." "I plan to work with trade unions all over this country, environmental groups all over this country, religious groups all over this country to do everything that I can as Vermont's senator to defeat the TPP if it comes up in Congress in the lame duck session," he said, expressing confidence that it would be defeated. 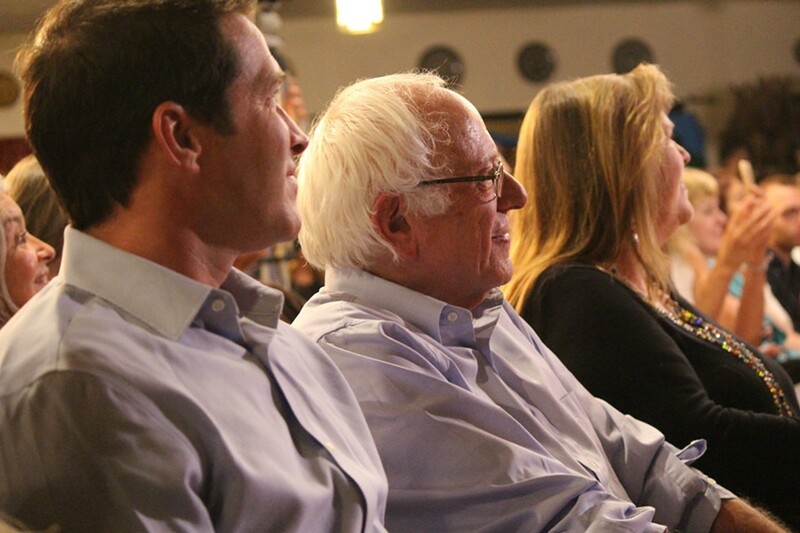 Sanders' studio audience included many former campaign volunteers and staffers, as well as activists and candidates for state office. But not everyone hailed from Vermont. Laura Johnson of Edmonds, Washington, said she had signed up for a watch party while vacationing in Burlington and had "no idea" that Sanders would be there in person. "I just happened to pick the right one," she said. "It was amazing to hear those words in person." Burlington resident Gordon Clark said he was "delighted that something's going to be done with all the energy in the campaign." But he acknowledged that Our Revolution might be difficult to sustain. "I realize that it's a challenge, because political campaigns are often driven around people," he said.